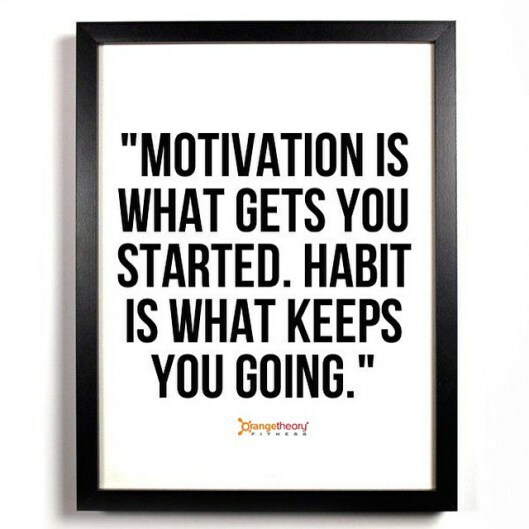 Is your goal to get stronger at Orangetheory Fitness? Even if it’s not, you might still learn something about strength training. My experiences coaching at OTF have given me great opportunities to promote strength training among general Seattle population. To gain strength, we must progressively adapt against stimulus. People think that because the 25’s are the heaviest on the individual rack that they are heavy. In a few cases, the 25’s could be considered heavy such as a lateral raises. However, for full body exercises such as goblet or sumo squats, people neglect the proper dumbbells for training. This makes no sense because when you are performing an exercise that utilizes leverage from nearly the entire body (such as a squat), then you should be striving for more. Always. Always striving for more. Nearly all healthy men women would be able to barbell squat the weight of their body on their backs with proper training. Intermediate strength athletes can squat nearly double their weight. Elite strength athletes can squat 3x or more of their own bodyweight. Have some perspective. PRO TIP: If the exercise is DB Sumo Squats for 8 reps and your previous best was 40lbs, then you should begin the set with a 50 lb dumbbell and get as many reps as possible. Rest if needed, then continue getting reps on the exercise till you achieve the total amount. –> Do the same thing in a future workout and I’ll bet you get more than four reps at the beginning, thus gaining strength. The above described technique would be called, “rest-pause,” and it is yet another pathway to gains. Begin the first set with the greatest intensity. 2. Go to failure… sometimes. What is going to failure? Going to failure means that you do as many reps as you can and then trying for another rep and failing on the last rep (or even ending squeezing some partial reps out at the end). I want to outline some benefits and some reservations about going to failure. If the exercise is safe for you, then decide to actually take it to the limit. Maybe the workout calls for 8 reps, but you choose a weight that you could squeeze 12 out of… then you need to hit all 12 or go heavier asap. I’ve said it many times also: you can get stronger without going heavier. Going heavier is just the most popular way. Either way, you’ve GOT to push it!!! Going to failure is a highly successful training technique reserved for those with perseverance, pain tolerance, and people who value recovery from intense stimulus. Pros of going to Failure: You will break down the muscle tissue allowing your body to recover and get stronger. Motor neurons and neural pathways are enhanced, metabolism is increased (both during recovery and resting due to increased muscle tone), and going to failure may release beneficial body re-composition hormones. Cons of going to Failure: Will probably be really sore (but some people love this). Main concern is that if you do it frequently, you could burn out the central nervous system and lead to diminishing returns over time. Aka over-training. If you want to go to failure, communicate that to your coach. I would be right there with you making sure you were safe and encouraging you. 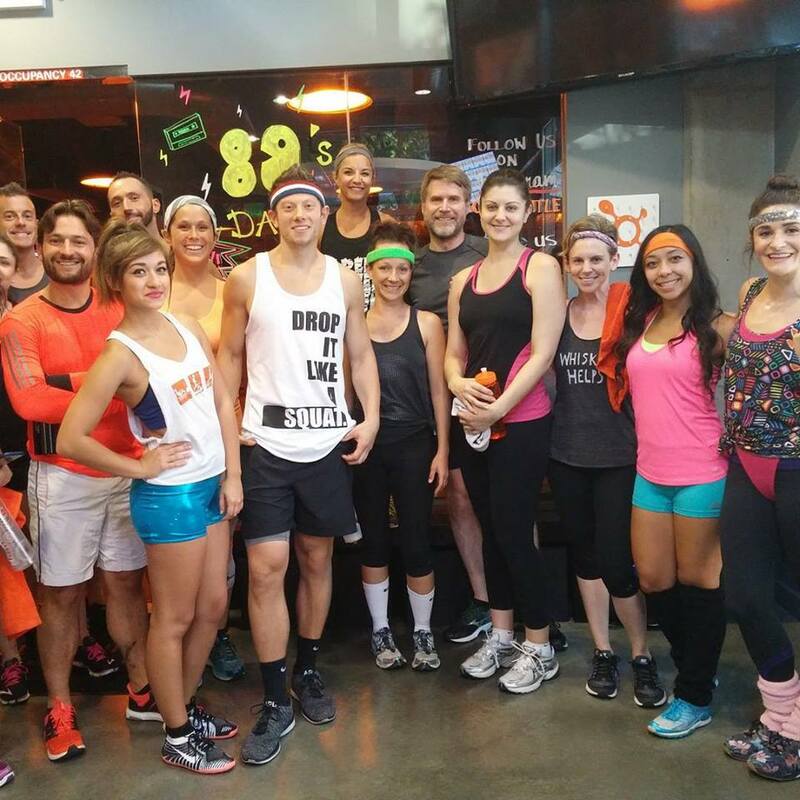 Running incline is the best option for gaining strength at Orangetheory. I swear by it, I almost always run at a higher incline than 1 per cent. People who use 1% incline and running 7.5 mph for pushes and never faster will deceive themselves into thinking that’s enough. While the heart rate may elevate, the rest of the body will adapt to the stimulus and less likely the fat is to burn off. You need to go faster OR use higher inclines. I know that some coaches at OTF will encourage you to commit to being a walker, runner, or jogger but for people who want to gain strength that’s not the best idea. We often talk about workouts with regard to Power, Strength, and Endurance — this is based on the energy systems of the body. 3 minute push: Powerwalking 12% incline, 4.5 mph. In any future workout, you could hit the same sprint speed, just at 1% higher than last time. You can even make progressions with .5% incline or even .1 mph would count as a progression. There are TOO MANY VARIATIONS that there is NO REASON to always perform sprints at the same parameters everytime. You will plateau. Running 2% at 13mph is different than running 1% at 13mph. Not a lot different, but different enough to have inherent value with regard to training stimulus and getting stronger. If you’ve run 12 mph before, then why not try 11.7 mph at a 2% higher incline than last time? In other words, experiment with as many combinations of inclines and sprint speeds as possible! Then go back to a previous best and challenge it for better. 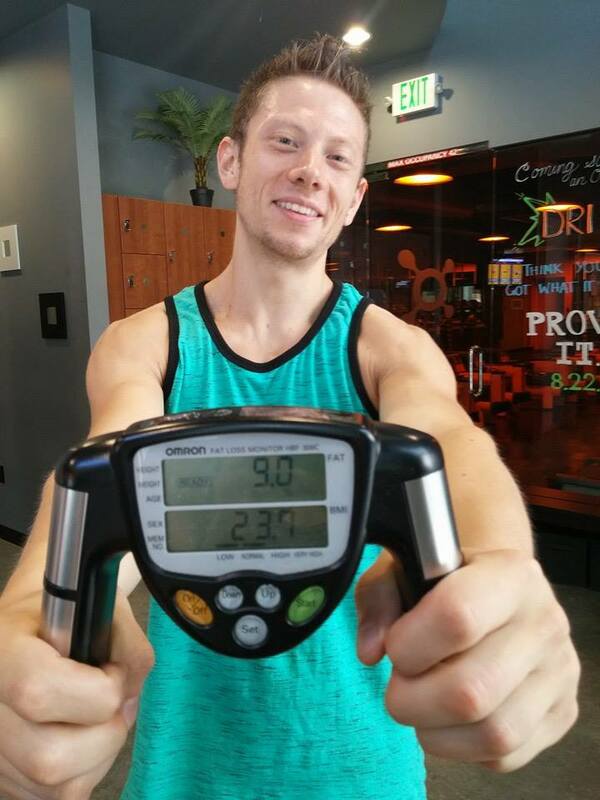 Pro Tip: Most effective treadmill parameters for strength feature incline greater than 1%! I hope these tips help. Be a part of this. Post, comment, share, email me. I want to build this around you. We didn’t even talk about nutrition in this post, while that continues to play an ever important role in gaining strength, tone, everything fitness you want. André Ellison (Dre) is a Fitness Professional and blogger living in Seattle, Washington. The Inverted Row: Best Upper-Back Exercise known to man? I started Orange Theory this year and I found your comments very helpful. I was researching tips for getting better and yours was really informative. Thank you! Hi Thanks for the tips, your the first person I could find online who can answer one of my concerns, A new Orange Theory opened in my home town and I’ve been attending 4 times a week now for more than a month. I am losing about 2lbs a week but I have yet to see much gain in strength. Now I know a month is not enough time. But I do notice that the weight training exercises are spread out and I won’t target the same area again for sometimes a week. If I do get heavier like you suggest, do you actually see muscle gain at Orange? I would like some muscle definition in my arms and chest .Weight loss and gaining strength are my goals. I hope to become leaner and stronger? Hey Mike, thanks for coming to the blog. I believe that if you continue to follow the Orangetheory program and have eat nutritious meals regularly, then you will continue to lean out. That’s good news! Now when it comes to gaining strength through Orangetheory, you’re correct that there is often so much variation in exercise selection that sometimes it can be challenging to progress in real, tangible strength gains. Orangetheory always says that we can make it individualized personal training in a group setting — therefore, I would recommend that you have conversations with your regular coaches to allow for modifications, or “options” that are specific to your goals. One strategy would be for the coach to allow you to perform Dumbbell Bench Press and Dumbbell Single Arm Bent Over Rows at least TWICE per week. Any rep scheme is fine as long as there is progression. For example, you could do 2 sets of 8 heavy on a Monday workout and then 2 sets of 12 on a Thursday with slightly lighter weights. Then keep progressing. So if you used 25 lbs dumbbells on a Monday for 8 reps, then go for 20 lbs for 12 reps on a Thursday. Next week, go for 30 lbs for 8 reps on a Monday, and 25 lbs for 12 reps on a Thursday. Of course you won’t be able to gain strength every time, but at least it is measurable. Let’s be honest though, Orangetheory is EXCELLENT for cardiovascular fitness, muscular endurance, and muscular tone. If you really want to gain muscle, especially in the upper body, you will likely need a deliberate strategy. If I was going to give you straight-talk, I would say that you should do OTF with the primary goal of getting as lean as possible. Then maybe drop down to 2x/week OTF and 2/x week weight training sessions away from cardio. IF you get really lean first, then gaining muscle without gaining fat will come better for you for a variety of reasons I won’t get into in this response. The takeaway point is that if you want to get stronger, you need frequency and progressive resistance on specific movements. I am new to OT and this site was extremely helpful. Thanks! Hi Jara, glad to hear. I’m going to continue being active again. Thanks for stopping by.